Soul P (US) see: Samples etc. SoulenginE (Italy) see: Samples etc. Souls of Mischief (US) see: Samples etc. Soulwax's two chief members, brothers David and Stephen Dewaele, also operate as 2 Many DJs, which might give you some idea of where they're coming from. 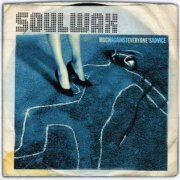 Their second album as Soulwax, 1999's Much Against Everyone's Advice, is an indie/electro crossover effort, which means, for the rest of us, noisy indie-pop overlaid with laptop electronica, which may or (more likely) may not be up your street. It seems to be perfectly good at what it does and didn't have me reaching for the bucket, although I don't really feel qualified to pontificate at length on the music, you'll probably be pleased to hear. Jason Falkner of Jellyfish and The Grays (not to mention Pugwash collaboration fame) plays Chamberlin here, though whether he carted one over to Belgium or they recorded in the States, I'm not sure. He also arranges the strings, so what's what can sometimes only be a matter for conjecture. Definite flutes on Proverbial Pants, but nothing else particularly obvious, which doesn't mean it isn't there. The brothers have probably recorded more remixes of other people's tracks than produced their own, tackling names such as Kylie Minogue, Robbie Williams and The Chemical Brothers, alongside their countrymen dEUS and Zita Swoon. I've no idea whether any of their remix work is even vaguely listenable for the non-dance scene fan, but Much Against Everyone's Advice has its moments, although overall, it tends to irritate, I'm afraid. One minor Mellotron track, so you're probably best off going elsewhere. Sound of Ceres (US) see: Samples etc. In many ways, Soundgarden were the perfect 'grunge' band, whatever you ever took that nomenclature to mean; just the right balance between the new and the old, with decent songs to boot. To be honest with you, it sounds like good ol' fashioned hard rock to me, albeit with a more contemporary, downtuned edge; a world away from the horrors of '80s hair metal, anyway, which has to be good. 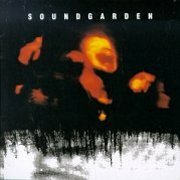 Their third album, 1991's Badmotorfinger, was tipped to be their breakthrough record, but they actually had to wait until its belated follow-up, '94's Superunknown, which sold massively on the back of its hit, the superb Black Hole Sun. The rest of the album isn't bad, but not quite the second coming various online reviews had led me to expect. Only one Mellotron track, the grinding Mailman, credited to drummer Matt Cameron, although producer Michael Beinhorn is reputed to have had some input as well. In fact, all you get is a brief strings part with a nice pitchbend at the end, so it seems rather unlikely that it took two people to play it. I'm not entirely sure how to describe Soundtrack of Our Lives. Indie/psych? Progressive pop? They seem to be influenced by both '60s/'70s stuff, but have an undeniably current edge to their sound, too. 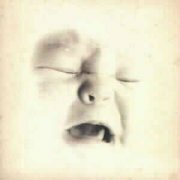 Their debut, the strangely-titled Welcome to the Infant Freebase, sets out their stall from the off, being a mixture of '60s psych and '90s indie, with the emphasis on the former. Good material all round, though better was to come and it's not all what you'd call entirely original; the lascivious Bendover Babies rips off Waterloo Sunset something rotten, but we'll forgive them, 'cos the album's really rather good. Mellotron (real?) on one track only, with some Strawberry Fields-style flutes and a nice upfront string part on Embryonic Rendezvous, but that would appear to be it. Behind the Music is their third album, after the Mellotron-free Extended Revelation and seems to be the most advanced on the songwriting front; there's certainly some excellent material on it, particularly Mind The Gap and the excellent Nevermore. Martin Hederos plays Mellotron on three tracks that I can hear; Mind The Gap and The Flood have string parts buried in the mix, but Tonight, a piano ballad, has some great upfront strings, though 1½ 'Tron tracks probably isn't enough to make purchase worthwhile on that front. 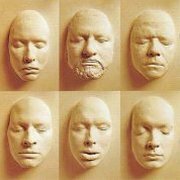 However, Behind the Music's actually a damn' good album, especially if you like your pop intelligent and retro; don't let the 'death masks' sleeve put you off - it's certainly a striking design, if a little macabre. While perfectly good, to my ears, Origin Vol. I doesn't quite reach the heady songwriting heights of its predecessor, not helped by opening the album with a track that sounds a lot like Oasis. It's beginning to look like Behind the Music is going to be their classic, although they may well pull another rabbit out of the hat in the future. Two Mellotron tracks again, with some fairly standard flutes on Midnight Children and strings on Lone Summer Dream, with an unidentified sound on one of the 'bonus' tracks, World Bank (what's 'bonus' about it, anyway? ), which may or may not be Mellotron strings. So; a good band, with one real career highlight so far. Somewhat ordinary Mellotron use across all three of these albums, so don't bother on account of that, but buy Behind the Music if you reckon they could be your thang. Wim Soutaer (Belgium) see: Samples etc. South (UK) see: Samples etc. South Normal (US) see: Samples etc. What Makes Lovers Hurt One Another? 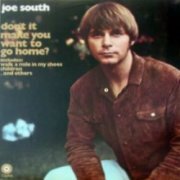 Although Joe South (born Souter) is best known as a songwriter (Hush, I Never Promised You A Rose Garden), he had a briefly successful career as a performer, in an early country/soul style. I believe there were problems surrounding his debut, 1968's Introspect, leading to him re-recording some its tracks the following year for Games People Play; alleged tape-replay work on the album, but a close listen doesn't reveal anything. He followed up quickly with Don't it Make You Want to Go Home?, full of more homilies to his dislike of the modern world along the lines of Clock Up On The Wall, with its innovative 'ticking clock' percussion, and major hits Walk A Mile In My Shoes and the early eco-warning of the title track. Just when you think you've got the album licked, though, A Million Miles Away comes along and shatters your expectations with its found dialogue and heavily echoed guitar, so maybe it's not that clear-cut after all. Barbara South (wife of his brother and drummer, Tommy) plays Chamberlin on the album, and how... Every highlighted track above contains strings, most have brass as well, with flutes on Children and the title track, although the strings on the latter are real. After another few albums in quick succession, Tommy South committed suicide, plunging Joe into a deep depression, leading him to escape to Hawaii and effectively ending his career. His name in the history books is assured, but it's a tragedy he didn't go on to write for the biggest names of the '80s and earn a mint in the process. This album's unlikely to appeal to anyone raised on '70s rock, but perfectly good at what it does and stuffed with Chamberlin to boot. South San Gabriel (US) see: Samples etc. Southern All Stars (Japan) see: Samples etc. Southern Backtones (US) see: Samples etc. Going by their debut (?) 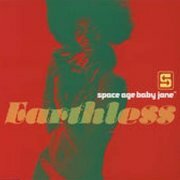 single, 1996's Earthless (they re-recorded it two years later as Earthless '98), Space Age Baby Jane sat at the psychedelic end of '90s indie, Swedish style. The lead track's actually pretty decent - certainly a great deal better than most similar British and American bands of the period - but D-Day and the eight-minute 'Cambio Version' of Earthless are rather dispensable. Anekdoten's Nicklas Barker (still Berg at this point) plays Mellotron on both versions of Earthless, with background strings (and cellos?) on the lead-off version and a far spacier, if occasional string part on the Cambio Version. Space Ritual? Rings a bell? It's the name ex-Hawk (and alleged band namer) Nik Turner has used for his own outfit since the drawn-out legal shenanigans with the litigious Dave Brock some years back. 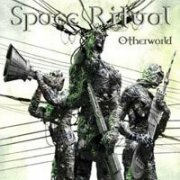 Although they've existed for over a decade at the time of writing, 2007's Otherworld is their first full-length studio release, a bit of a hodge-podge of styles, to be honest, veering between the excellent, mid-paced title track with its sax-led chorus riff, ambient material (Black Corridor, ASDF), 'tribal' rhythms (Communique II) and the expected synth-driven biker rock (much of the rest). Unsurprisingly, the lyrical content concentrates on the expected themes, largely space flight, dystopian societies and ecological disaster, the last notably on Notes From A Cold Planet. Dave Anderson, studio owner and bassist on the album, assures me that they used a real Mellotron that had been hired in for another session, "Because it was there". John Greves plays it, with polyphonic flutes on the title track, although the ones on Atomik sound sampled; a possibility, as I get the impression that a sample set was also present during the sessions. This is probably a little too long for its own good, but contains enough good material to keep the typical old-school Hawkwind fan happy. In fact, it's probably the best Hawks album since the '80s. 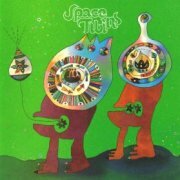 The Space Twins were a Weezer side-project, led by Brian Bell, originally intended as no more than a joke. 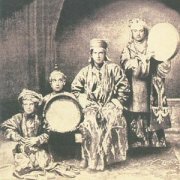 After they became more serious, they released three single during the '90s, their only album, The End of Imagining, appearing in 2003, after which the band slowly dissolved. 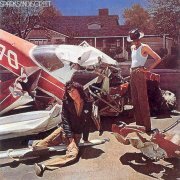 It contains a combination of regulation powerpop (Nothing For Love, Trudy Truelove), lightweight psych (opener Rust Colored Sun) and even sort-of hard rock (Yellow Camaro), although, despite its short length, there are too many 'so-so' efforts to gain it more than three stars. Jason Falkner (Jellyfish, Grays) plays Chamberlin on Rust Colored Sun, with strings all over the track, including a few seconds of solo Chamby at the end. Overall, a decent enough album, without being particularly startling. Recommended to powerpop fans for a handful of tracks, while those wishing to hear the Chamberlin in all its glory should try to track down Rust Colored Sun. Spacehog were (actually are, since they've recently reformed) Britpop johnny-come-latelys, their glammy take on the style sounding like a low-budget Suede. 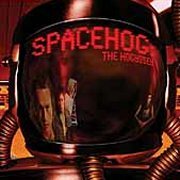 2001's The Hogyssey (originally, before a threatened injunction, 2001: A Space Hogyssey. Ho ho) is a patchy effort, better tracks including Earthquake, Perpetual Drag (largely for its explicitly Bowie-esque guitar line) and, against all the odds, the title track, a bizarre, funk take on Richard Strauss' Also Sprach (Thus Spake) Zarathustra, better known, of course, as the title music to 2001: A Space Odyssey. As I said, ho. And ho again. An uncredited musician (producer Paul Ebersold?) plays Mellotron flutes, cellos and strings on Dancing On My Own, not only sounding pretty real, but also being the three sounds found on the M400's original 'standard' frame. But why does our mystery man play the German national anthem on the strings over the end of the track? Another Strauss reference? Overall, then, a slightly confused release, with moments of brightness shining through the general murk, with one decent Mellotron track. Hmmm. Incidentally, the timing above is for the actual music, ignoring over ten minutes of silence between the last two tracks. Tony Spada was the guitarist and main move and shaker behind early-'80s US proggers Holding Pattern, whose sole release was an eponymous mini-album in 1981. It took Spada over a decade to follow it with his first solo release and I think it's fair to say his style has changed considerably in the interim. 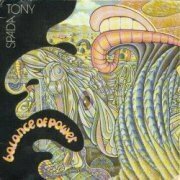 Balance of Power's base is as much fusion as prog, although without the frenetic energy of a typical fusion outfit. I also hear hints of Steve Hackett, particularly on the opening title track, while I believe there's a large slice of Steve Morse, too. Much of the (mostly instrumental) material is good without being in any way outstanding, although the album's one vocal track (and its longest), closer The Final Act, is really quite excellent. Although ex-Holding Pattern keys man Mark Tannenbaum plays on several tracks, all the Mellotron parts are played by bassist Tony Castellano, although it has to be said that it's utterly inaudible on the title track. Touch Sensitive fares a little better, with a fairly upfront strings part that sounds shaky enough to be 'real', although The Sun Song is, again, pretty minimal. Spain Colored Orange (US) see: Samples etc. 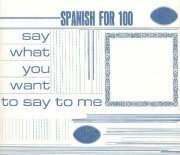 Spanish for 100 are possibly comparable to Built to Spill in their indie-take-on-Neil-Young approach. 2007's Say What You Want to Say to Me sits at the mainstream-rock-end-of-indie, which is better than the mainstream-pop-end-of-indie, I suppose, at its best on raucous opener Attack!, Limerance Be and the widescreen See Now, maybe, although the songwriting could've done with tightening up across the board. Johnny Sangster slaps what sound like real Mellotron strings all over See Now, aiding it in its 'best track' claim. But then I would say that, wouldn't I? Hardly worth a purchase for one decent Mellotron track, anyway. Sparklehorse (US) see: Samples etc. Sparkler (US) see: Samples etc. Ron and Russell Mael's legendary duo will always be remembered for the insane brilliance of This Town Ain't Big Enough For Both Of Us (no 'the', thanks! ), but if there were any justice in this world, they'd be known for a string of witty and urbane albums, not 'just' a string of hits. 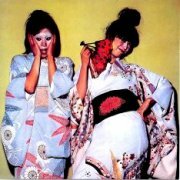 The combination of Ron's songs and Russell's brilliantly camp delivery brought them success in the UK, although it took their native States a while to catch up (if it ever really did); Kimono My House was their third album, following their self-titled debut (originally being released under the name Halfnelson) and A Woofer in Tweeter's Clothing. You cannot start off and be Yehudi Menuhin'. Sheer, utter, unbridled brilliance. All of which has nothing to do with Mellotrons. The only reason I know there's any on these albums is that, sick of listening to stuff purely for its Mellotronic content (hey, I like music for its own sake, OK?! ), I resolved to play something else for a break. And heard a Mellotron. Typical... Yup, there it is; strings on Thank God It's Not Christmas, with a sustained note at the end featuring that distinctive 'Mellotron quaver', flutes and strings on the lyrically sublime Hasta Mañana, Monsieur and (according to this excellent page) a Mellotron sax solo on Equator. No idea where the Mellotron came from; the album was recorded in the UK, so I suspect it was a machine that was just lying around the studio. As they do. Or did. So, not the greatest use ever, but an abnormally cool album, so buy it anyway. Propaganda isn't as consistent as Kimono, but as their second release of '74, they were probably spreading themselves a little thinly by this point. It opens brilliantly, with the a capella title track and the rocking At Home, At Work, At Play, but then it slackens off a bit, although the two singles, Never Turn Your Back On Mother Earth and Something For The Girl With Everything are pretty cool. Most of the strings on the album are provided by an unnamed string synth, so the album's only Mellotronic interjection is on Never Turn Your Back..., with a few seconds of heavily phased strings halfway through. The following year's Indiscreet picks up somewhat and is probably their most diverse album yet, with the likes of the string quartet-led Under The Table With Her or the (again) excellent singles, Get In The Swing and Looks, Looks, Looks. Mellotron on one track only, with a few volume-pedalled choir chords on Without Using Hands, so barely any more use than on its predecessor, really. Bloody good album, though. 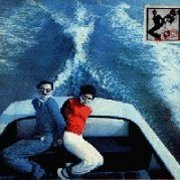 So, Sparks: one of the best pop groups ever? Discuss. Depends on your definition, I suppose, but it sounds like pop to me, even when it rocks. They're still making intelligent pop records to this day, consistently flying fearlessly in the face of fashion, which can't be bad. None of these three albums are exactly worth it on the 'Tron front, but they're all well worth hearing in their own right. Excellent.